Love. Family. Tradition. Christmas. Friendship. 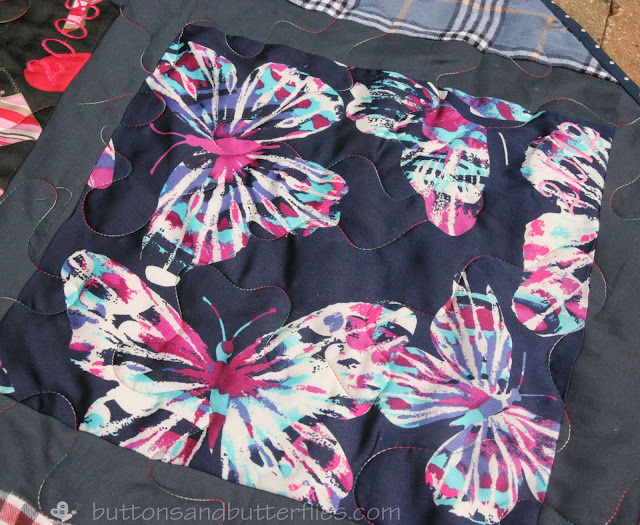 This quilt story begins with my friend, Cindy. Actually, it begins with her grandmother. Picture 1965 (I hope I have the exact year correct). A mother asks her daughter what in the world she will give her brand new husband for Christmas. The first pair of pajamas were born for Cindy's father. Fast forward to 1988. Cindy's grandmother had made a pair of pajamas for her father every Christmas up to this point. 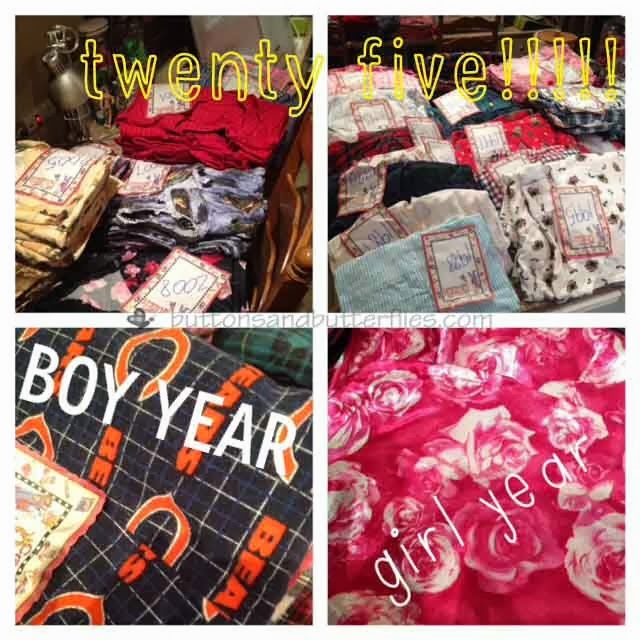 She also evolved the tradition to include making pajamas for the other male members also. Sadly, her grandmother passed. Her mother, whom is affectionately called Gigi, took up the challenge. The tradition blossomed. To honor grandma, everyone received a pair of pajamas. Each year, the fabric is selected, in secret by Gigi. Made and delivered on Christmas Eve. She told me that she buys 50 yards!!! It is an exciting time every year. What will the pajamas be? The only hint is that it will be either a boy year, or a girl year. Yes, to answer your question. 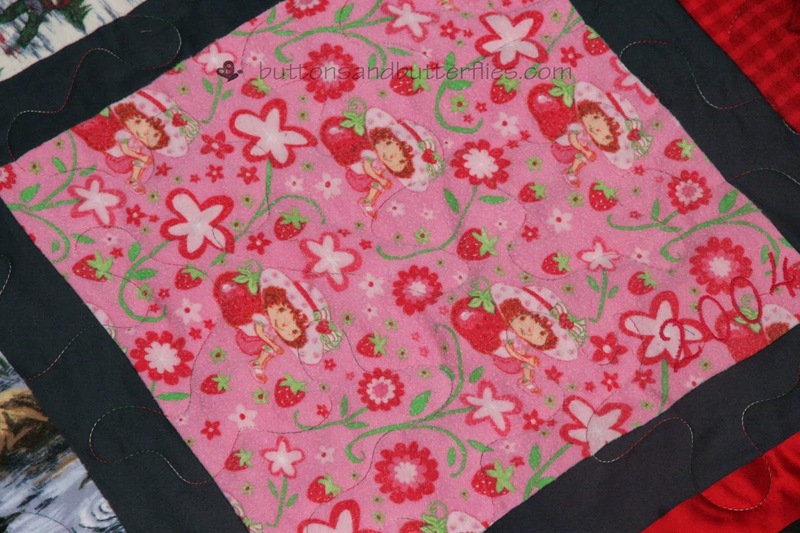 The male members of the family do wear Strawberry shortcake! They don't fuss. The tradition is that important to the family. Enter in friendship. For about nine years now, I have been scrap-booking with her. Up until recently we had only been "talking" about doing a quilt, but she would always balk. Someone cut up her cherished pajamas? No way. Then, last year, she thought she was moving and decided that she really needed to tackle the pajamas. 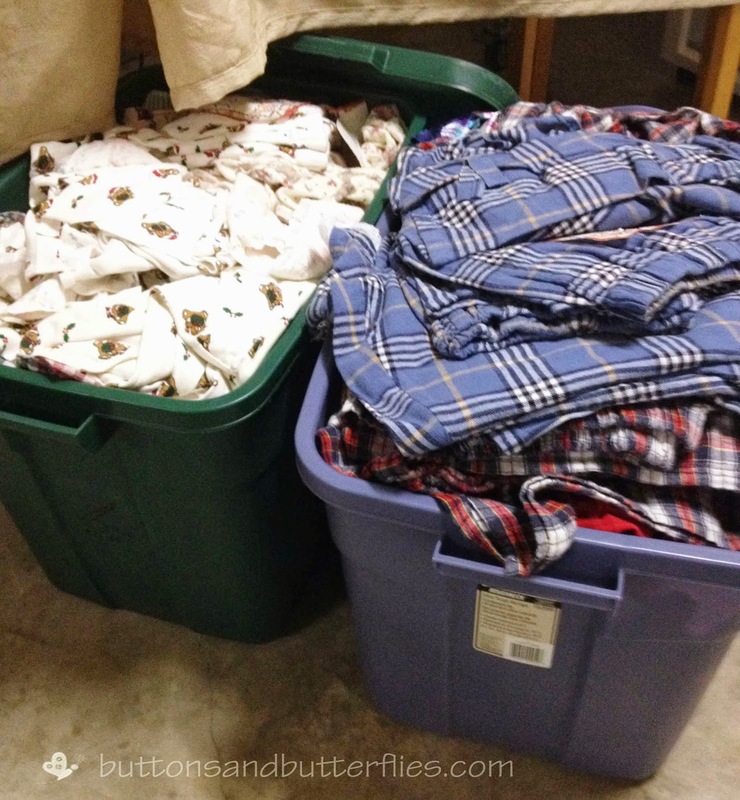 Why move two bins full of pajamas when she could just move a single quilt? We agreed to meet so I could take them home. I had to slam my trunk before she changed her mind. I may or may not have calmly removed her fingers off my bumper. 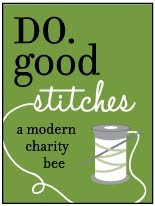 I smiled and zipped away. Ironically, their lives took a U-turn right back home and she never had to leave. But I still had the pajamas!!!! 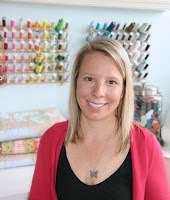 We discussed many different layouts, knowing that she wanted each year embroidered. 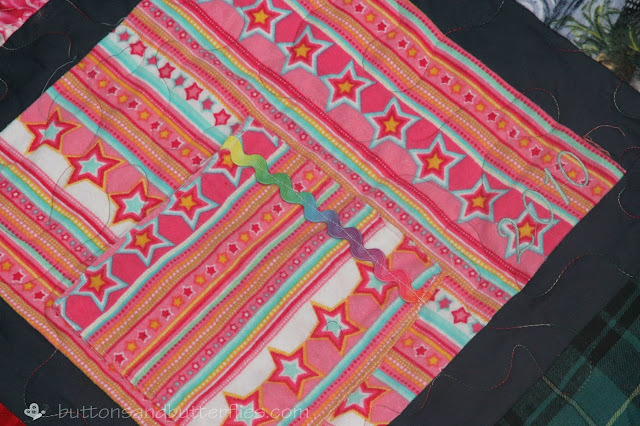 I embroidered each year in the same corner edge with a subtle thread color. Enough to see if you were looking for it, but not distracting. We decided on simple. On point squares. Large enough for her to really see the motifs of each pajama. Roomy enough for more than one family member to snuggle under. 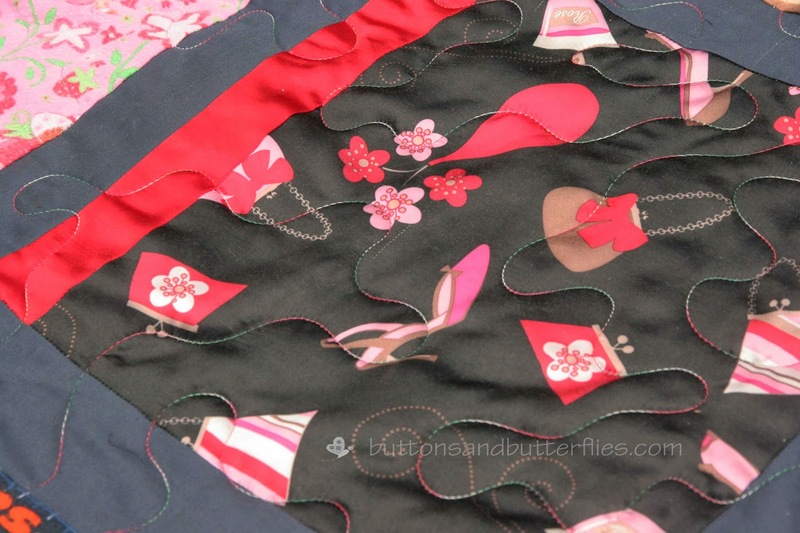 Special pockets with sweet details were appliqued on. 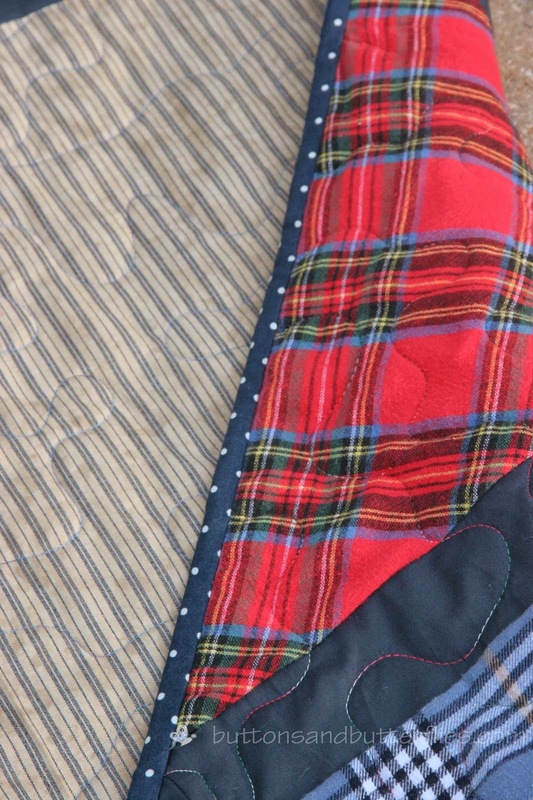 Strips of accent fabrics from pants or sleeves were added like the red above. 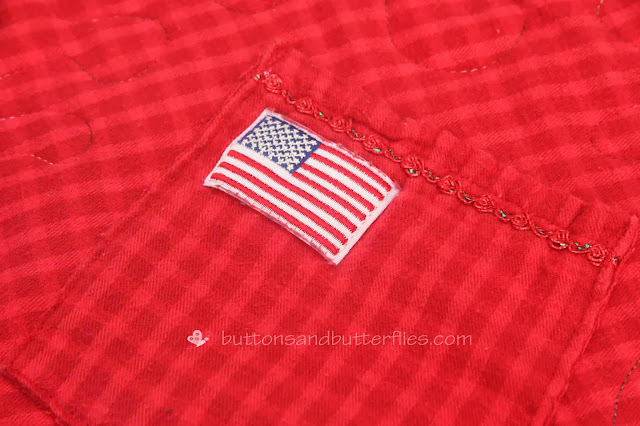 The flag patch that was the inspiration for the 2001 pajamas. In honor of those who lost their lives on 9/11. 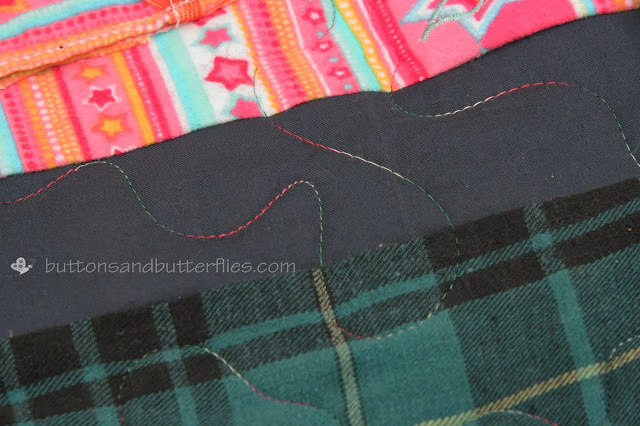 I decided on variagated thread to meld the very masculine plaids and the feminine purples and pinks. It is definitely an old faithful on memory quilts in the past and didn't fail me this time! 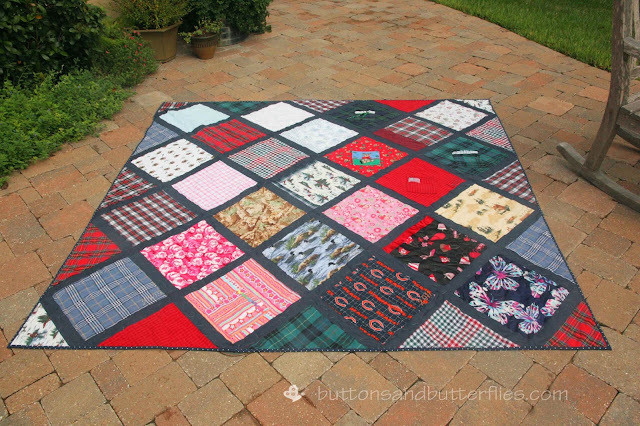 I filled in the end half blocks with accent fabrics or more flannel plaids to bring cohesiveness around the edges. Blue dotted binding said "happy" to me. Calm and nuetral backing to match her decor and seemed to say "Yes, pajamas. You are the center of attention". 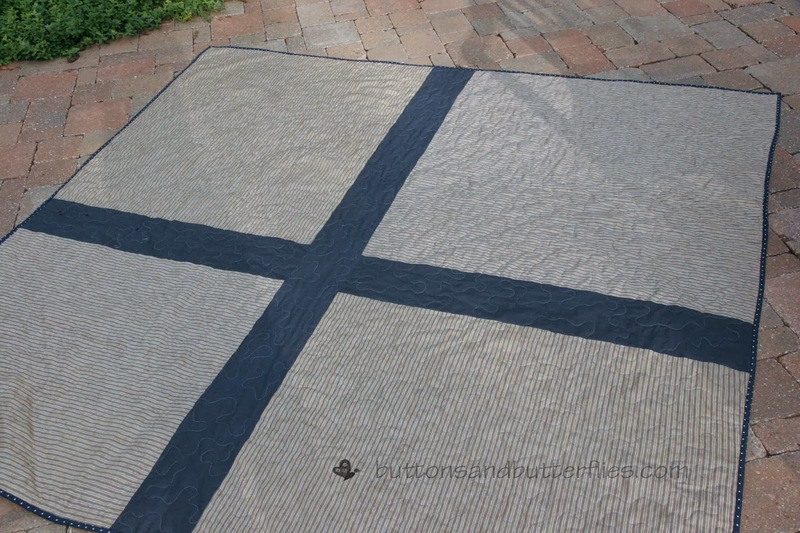 I popped some blue variegated thread on the bottom. It shifted from light blue to navy. I have to admit. 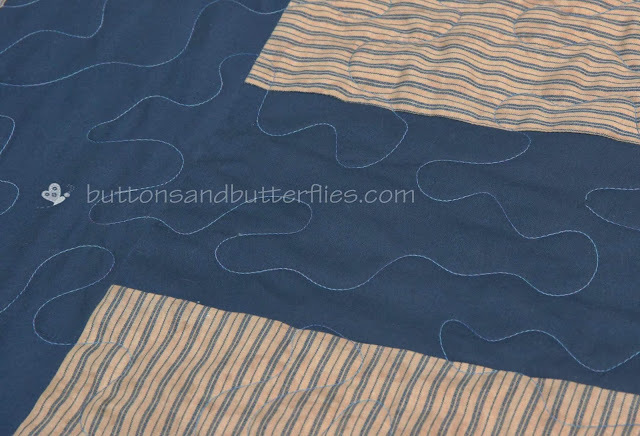 This quilt stressed me out before I could cut into it. I knew how important it was to my dear friend. I still haven't told her, but I would NOT touch those pajamas until the last minute. Always fearing she would change her mind! If you follow me on Instagram, you could see I started cutting last weekend. I literally cut the pajamas on the 21st of September and with a lot of hours dedicated all hours of the day and night, it was in the final tumble in the dryer on September 28th. Just in time for Gigi's visit. For a pajama party with my friend Cindy. Wow! 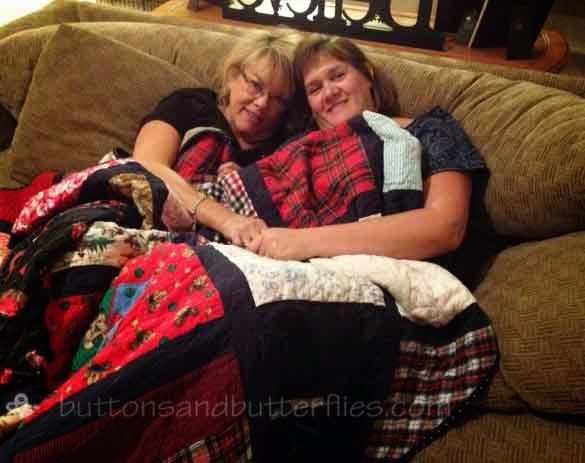 Awesome quilt, awesome story, and you are definitly an awesome friend! I love this so much! 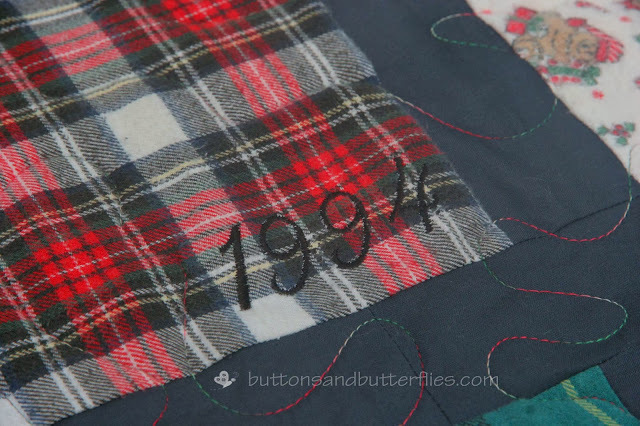 I love when quilts are the keepers of memories. Well done, my friend! Another heirloom in the family!